Согласно результатам предыдущих исследований, бессонница связана с повышением риска гипертонии. Обнаруженную закономерность объясняли тем, что пациенты с нарушением сна испытывают повышенное нервное возбуждение, способствующее возрастанию артериального давления. Для того чтобы проверить эту гипотезу, специалисты из Китая провели свое исследование. Его результаты опубликованы в American Heart Association‘s journal Hypertension. В качестве участников были отобраны 219 пациентов, 6 месяцев и более страдавших хронической бессонницей, а также 96 нормально спящих людей. Всем им выполнялась полисомнография, после чего они проходили специальное тестирование. 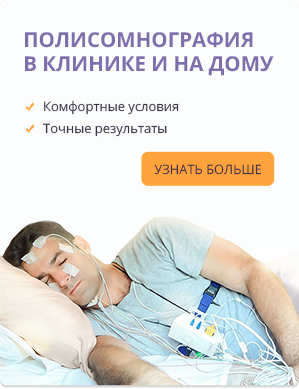 Исследователи использовали Multiple Sleep Latency Test (MSLT), позволяющий определить время, за которое человек засыпает в благоприятной обстановке. Это тестирование позволило определить, имеются ли у испытуемых признаки нервного возбуждения, замедляющего засыпание. Бессонница в сочетании с MSLT более 14 минут на 300% повышала вероятность развития гипертонии. При увеличении MSLT более 17 минут этот риск возрастал уже на 400%. Таким образом, повышенная нервная возбудимость при бессоннице действительно приводит к стойкому повышению артериального давления и гипертонии. Источник: American Heart Association’s journal Hypertension, 26 января 2015 года, опубликовано до печати, pii: HYPERTENSIONAHA.114.04604. The study, which monitored 219 chronic insomniacs and 96 normal sleepers in a dedicated sleep laboratory, is published in the American Heart Association’s journal Hypertension. The sleep-disordered people were classified with chronic insomnia if they had had difficulty sleeping for at least 6 months. — The greater this hyperarousal — the longer the time to start napping — the higher the risk of hypertension. «Although insomniacs complain of fatigue and tiredness during the day, their problem is that they cannot relax and that they are hyper. The researchers say this 24-hour hyperarousal is associated with the «more biologically severe type of insomnia» with «significant cardio-metabolic consequences like hypertension.» They add that less severe forms, meanwhile, typically have psychological factors behind the difficulties with sleep. Prof. Vgontzas says that feeling hyperalert or sleepy reduces people’s best function, and stops them feeling well during the day and sleeping well during the night. Insomnia in general is the most prevalent disorder of sleep, according to clinical guidelines from the American Academy of Sleep Medicine, with between a third and one half of the adult population showing symptoms of insomnia. The prevalence of insomnia with distress or impairment — general insomnia disorder — is up to 15%. The study participants spent a night in the sleep lab and then underwent the same daytime monitoring that is used in the standard diagnostic test for unexplained insomnia — the daytime nap study. Otherwise known as the multiple sleep latency test (MSLT), it meant the participants were monitored throughout the next day, when four opportunities were given to take a 20-minute nap, at 2-hour intervals at 9 am, 11 am, 1 pm and 3 pm. «Those insomniacs who were hyperalert during the day, and unable to relax and fall asleep during the multiple sleep latency test, had the higher risk of hypertension,» says Prof. Vgontzas. During each nap trial, there is the chance to lie quietly in bed and to try to go to sleep in a comfortable room designed to be conducive to sleep, and once the lights are out, the lab sensors measure how long it takes for sleep to begin, monitoring the stages of sleep, too. If sleep does not happen within 20 minutes of starting an MSLT, the nap trial is ended, but if sleep does set in, the participant is reawakened after 15 minutes. «Long latency times to fall asleep during the day may be a reliable index of the physiological hyperarousal and biological severity of the disorder,» Prof. Vgontzas explains. In the study, half the subjects took a maximum of 14 minutes to fall asleep while the other half took more than 14 minutes — the threshold beyond which they were considered to be hyperaroused. «We observed a strong correlation between the degree of physiological hyperarousal and hypertension,» says Dr. Xiangdong Tang, another of the study’s co-authors, and professor of sleep medicine at West China Hospital, Sichuan University, Chengdu, China. Hypertension was established by blood pressure readings, or a diagnosis from a physician, and the researchers controlled for confounding factors that could have influenced these results, such as obesity, sleep apnea, diabetes, smoking and alcohol and caffeine consumption. — Longer than 17 minutes raised odds by 400%. The researchers say that insomnia has been perceived traditionally as a nighttime disorder, yet they cite previous evidence that it is the 24-hour state of hyperarousal investigated in the new study. Learn about the impact of shift work on health in MNT’s new overview of the links between disease and sleep-disturbing shift patterns.